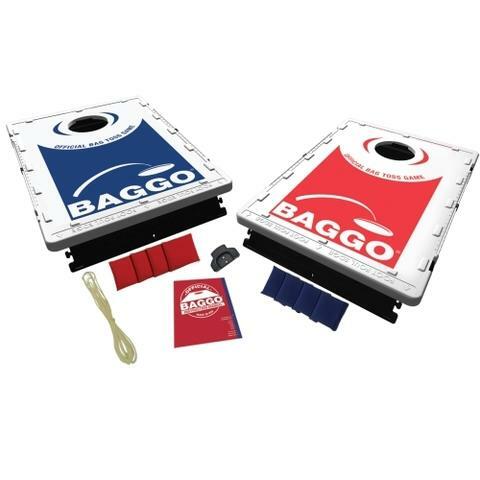 Bag Toss is a classic outdoor game that will generate hours of friendly competition. Have tons of fun at any outdoor event. 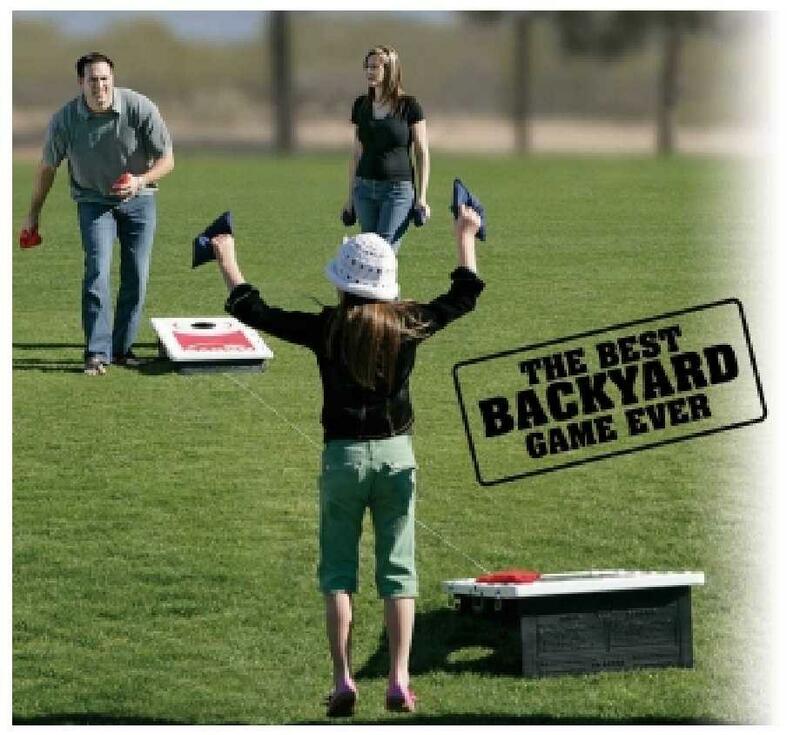 Teams or individual players take turns tossing the bags toward the target on the opposite board in order to score the most points: a bag in the hole earns 3 points, a bag on the board surface but not in the hole earns 1 point, and a bag that does not land on the playing surface nor in the hole earns 0 points.